By Josh Staley. Melbourne Magic Festival 2018. The Secret Room. The Melba Spiegeltent, 35 Johnston Street, Collingwood, Victoria 11–14 July, 2018. 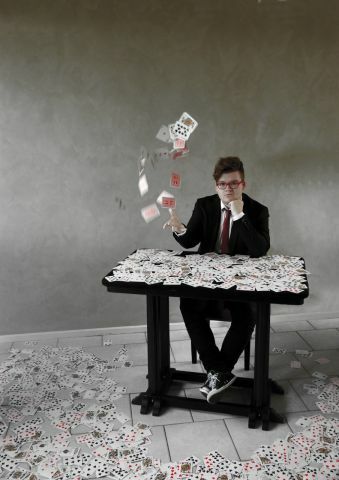 Josh Staley could be described as an illusionist who is obsessed. His love of Hitchcock cinema, decks of playing cards, suspense, surprise and bananas aid in the creation of a fascinating and amusing show. Staley’s ability to mesmerise his audience not only with his sleight of hand magic but also with his continual banter makes him a very endearing performer. Staley draws you into the world of magic that has clearly made a life-long impression on him and acts as a great role model for the younger members of the audience who might also be intrigued by this art. The show is real family entertainment and basically good-natured fun. 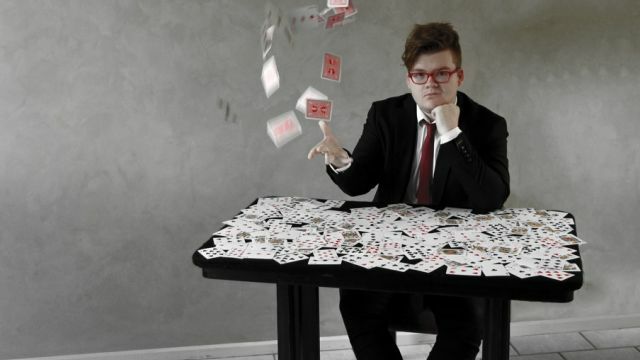 Coincidence and destiny are strong themes that inspire his trickery and while most of his illusions involve a deck of cards, the magic is always creative and unusual. Staley warms to his audience even further by inviting them to be a part of his show and to verify the authenticity of his illusions. Spectators handle many of the objects, participate in the acts and are awestruck by the impossibility of his tricks. Staley always keeps his audience guessing, throwing in red herrings in the form of fruit and other surprise objects. His extremely deft handling of a deck of cards is equally mesmerising and his show will leave you feeling delightfully willing to be deceived.